Sterling Medical Center Providers Roger S Yim, D.O. 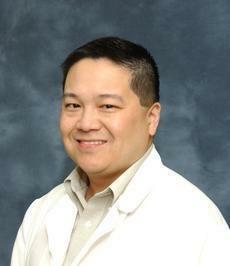 Roger Yim, DO, is a caring and highly experienced physician at Sterling Medical Center in Sterling Heights, Michigan. Dr. Yim offers his patients complete care including physical exams, urgent care, radiology, pediatric care, and treatment for conditions like asthma and diabetes. Dr. Yim graduated from the Kansas City University of Osteopathic Medicine in Kansas City, Missouri. He then went on to complete his internship and residency at St. John Macomb-Oakland Hospital in Warren, Michigan. He’s fluent in both English and Cantonese. Dr. Yim genuinely loves his patients, so he strives to treat each individual with the care, respect, and compassion that they deserve. Dr. Yim always respects patients’ privacy and believes in working together with his patients as a team. He takes the time to get to know his patients because he understands that it’s the best way to truly understand their needs and goals. Use the online scheduler to book an appointment with Dr. Yim at Sterling Medical Center today.